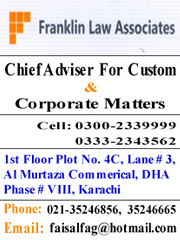 KARACHI: In strange turn of events, MCC Appraisement East has notified that Delay and Detention Certificates, issued to M/s Xing Enterprises and M/s One Ten World for wavering demurrage and detention charges, are withdrawn ab-initio. This notification was issued on the same day, the consignments of M/s Xing Enterprises and M/s One Ten World were cleared with waived demurrage and detention charges. This notification to withdraw Delay and Detention Certificates by MCC Appraisement East comes into effect after the clearance of the consignments. The port terminal, under the pressure of Customs officer, had already waived the demurrage and detention charges on M/s Xing Enterprises and M/s One Ten World. These toy importers had been found guilty of revenue evasion through mis-declaration and Customs Adjudication penalized them accordingly. There were 16 containers, of which 14 containers were cleared without the deposit of fine & penalty, and without payment of demurrage and detentions charges. Despite the fact, MCC Appraisement East issued the Delay & Detention Certificate, which was withdrawn by the MCC Appraisement East after the consignments were cleared. 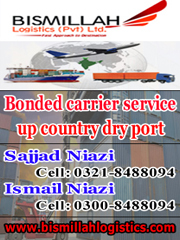 The entire Customs machinery stood with the accused importers trying to protect the importers. Reportedly, one most senior FBR officer has been patronizing this cartel of toy importers. 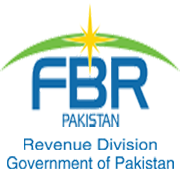 Chief Collector Enforcement Manzoor Memon under the pressure of the above mentioned FBR officer coerced shipping companies to waive the detention charges. Earlier MCC Appraisement East issued an illegal delay & detention waiver certificate to these importers despite the fact Customs Adjudication had penalized these importers for fraud. Moreover, MCC Appraisement East observed quite a leniency before the High Court and the consignment was ordered to be released on provisional basis without the deposit of potential fine & penalty and differential leviable duty and taxes. Additional Collector Yaseen Murtaza, Deputy Collector Athar Naveed, Principal Appraiser Dost Mohammad are known to be very honest and competent officials had unearthed the scam and pursued it. These officials were harassed through character assassination by third category media outlets. During the last few years, there have been surprising developments according undue favors to the importers and benefit certain individuals even in violation of rules and laws. 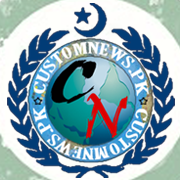 Chief Collector Appraisement South Abdul Rasheed Sheikh and Member Customs Zahid Khokhar are said to be patronizing certain unscrupulous elements. The green channel facility was misused at a large scale and goods including contrabands were cleared in the garb of scrap. Goods which are required to be examined to the ratio of 100 percent were cleared through green channel without examination, thus formalizing the smuggling. Misuse of green channel, withdrawal of contravention reports and granting green channel status to companies without considering the criteria remained a routine at Customs Appraisement South. A particular group of individuals including ministers and FBR officers caused loss the national exchequer to the tune of hundreds of billions of rupees. An official said WeBOC system audit can find details and evidences of the corruption and loss to the national economy. 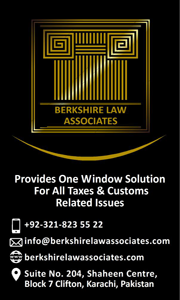 Tagged delay & detention certificates, demurrage, duty and taxes, FBR, illegally issued, loss national economy, M/s One Ten World, M/s Xing Enterprises, MCC Appraisement East, toy importers, withdraws.